WASHINGTON — Atty. Gen. Eric Holder Jr. on Wednesday revisited a controversial subject Congress remedied last year by changing the disproportionate sentences between powdered cocaine and crack cocaine. Lawmakers stopped short of making the law retroactive. The Los Angeles Times reported that thousands of federal prisoners could have an average of three years shaved off their prison terms under Holder’s proposal. “There is simply no just or logical reason why their punishments should be dramatically more severe than those of other cocaine offenders,” Holder testified. 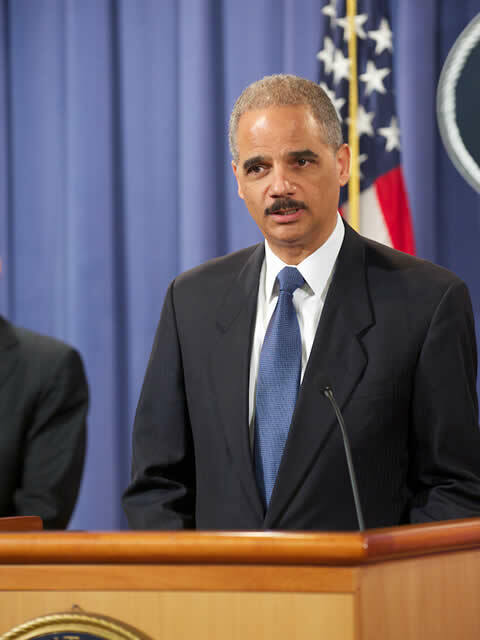 “As a federal prosecutor and as Attorney General – and as a former judge, United States Attorney, and Deputy Attorney General – this issue is deeply personal to me,” Holder said. “While serving on the bench, here in Washington, D.C., in the late ‘80’s and early ‘90’s, I saw the devastating effects of illegal drugs on families, communities, and individual lives. Posted: 6/2/11 at 8:35 AM under FBI, News Story.